Cape Cod & Hyannis @ Brockton, Ma. 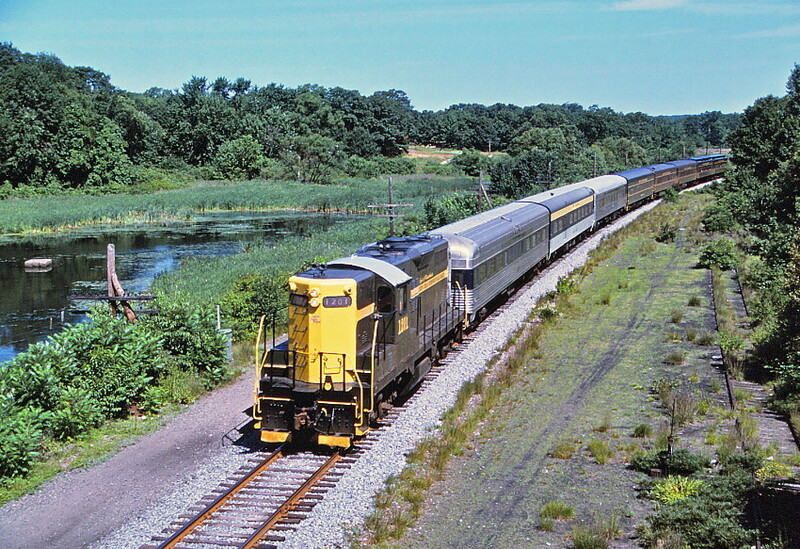 1210, an EMD GP-9 (ex-New Haven, Penn Central), leads its train thru Brockton. I was vacationing on Cape Cod at the time and remember seeing this train. It had extra cars because it was also carrying attendees at the 1986 NRHS Convention. I had visited the CC&H, Edaville and later the Conway Scenic and recall meeting some of the same attendees.